Q flies solo today, welcoming returning guest Brice Najar back on the show, along with his wonderful wife, Laetitia Latouche. 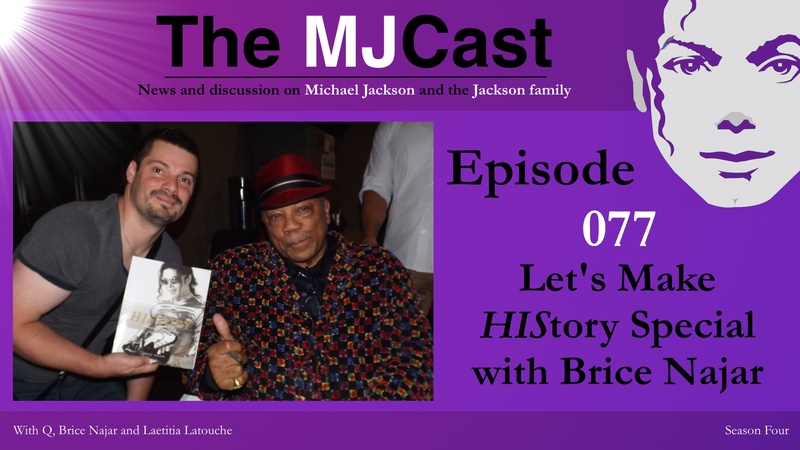 Brice is well-known in the Michael Jackson community for his books on The Jacksons and the King of Pop, but this discussion is focused on his most recent book, Let’s Make HIStory. 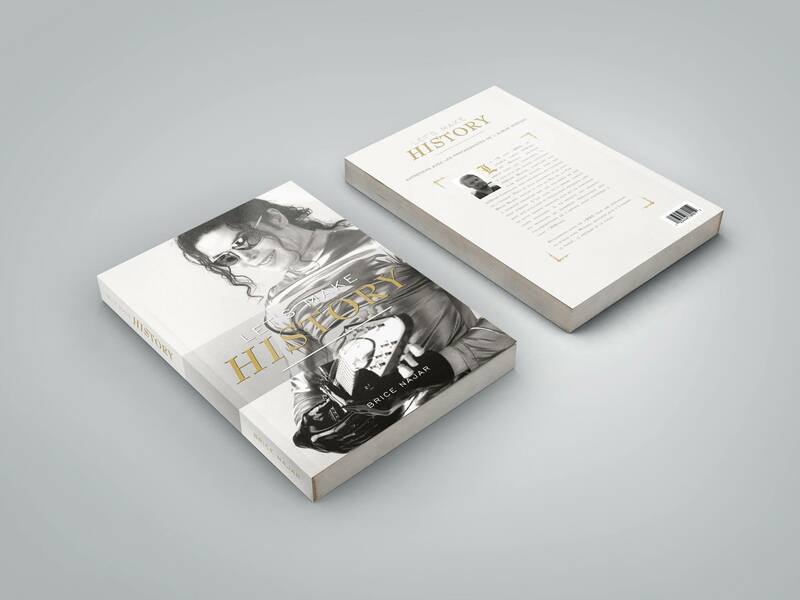 Najar’s book goes into detail about the recording of Michael’s brilliant HIStory album. Based around interviews with key collaborators, the book is a comprehensive and fascinating look into the creation of a masterpiece. Q, Brice, and Laetitia discuss what makes Let’s Make HIStory an important contribution to Michael Jackson literature, why the HIStory era is of particular significance, what it was like to interview collaborators, the process of getting this book published, and surprises that Brice discovered along the way. Brice and Laetitia also talk about MJ Music Day in France, and how that event came together. Brice Najar’s website, Facebook, Instagram and Twitter pages. Brice Najar’s books: Let’s Make HIStory, Michael Jackson: itinéraire d’un passionné and The Jacksons: Musicographie 1976 – 1989. Brice’s favorite MJ books: Moonwalk, Mike Smallcombe’s Making Michael, Isabelle Petitjean’s Dangerous – from Mark Ryden to Michael Jackson and Xscape Origins by Damien Shields. On this premiere episode of The MJCast’s second season, we kick off 2016 with plenty of news and discussion on Michael Jackson and the Jackson family. 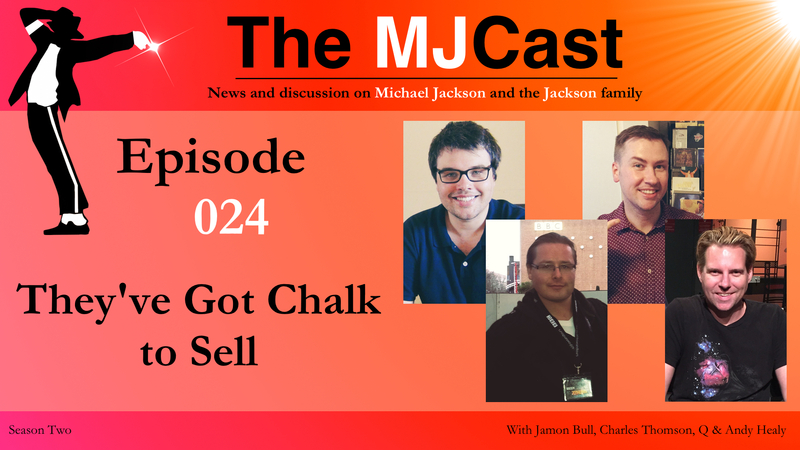 Jamon and Q are joined by The MJCast’s regular guest and legal expert Charles Thomson and newcomer to the show Andy Healy, author of the incredible MJ101 series. Andy is a long time MJ fan, having written a number of eBooks on Michael’s audio and visual art. These are must haves for any fan, budding or of vintage…and did we mention that they’re free?! In this episode, Andy tells us about his latest Off The Wall eBook, which then leads us in into a discussion on the latest Michael Jackson release, an Off The Wall reissue which is bundled with the new Spike Lee documentary film, Michael Jackson’s Journey from Motown to Off The Wall. In other news, artist Miguel is set to perform on this years Grammy Awards as a tribute to Michael, and to promote the upcoming Off The Wall reissue. In Jacksons news, the brothers wow crowds across Switzerland in the spectacular Art On Ice touring show. The MJCast also delves into the controversy around English actor Joseph Fiennes being cast to play Michael in a fictitious comedy film set around Michael, Elizabeth Taylor, and Marlon Brando fleeing New York City after the 9/11 tragedy. Next, the boys offer their opinions on the Super Bowl 50 half-time show and Beyonce’s subtle Michael Jackson tribute. The second half of Episode 024 begins with Charles Thomson giving an expert breakdown on the Serova V Cascio/Porte/Estate/Sony case. Make sure to access this link to read the latest documents in the case exclusively at The MJCast. And will someone call a plumber?! The leaks just won’t stop! The MJCast breaks down the recent Dangerous Tour concert and rehearsal video leaks courtesy of MJ Beats. A new book from the creators of The Dream Lives On podcast and The Journal of Michael Jackson Academic Studies, takes a sophisticated, academic approach to understanding Jackson’s art and life, providing insights into his entire body of work from a perspective never before available outside of music/culture journals. Lastly, we delve into our main discussion topic, our thoughts on the new Spike Lee Off the Wall documentary. We look forward to hearing your thoughts also! And in Season Two, our popular Finds of the Week segment returns! Thanks so much for listening to the internet’s premiere podcast on all things Michael Jackson and the Jackson family. We hope you enjoy our first episode of Season Two! Michael Jackson’s 1979 album Off The Wall is to be re-issued as a CD/Blu-ray set on February 26th. The new MJ 101 eBook on Off The Wall is now available for download. Grab it for free! Miguel is set to perform a tribute to Michael Jackson at this year’s Grammy Awards. The Jacksons perform at Art On Ice in Switzerland. Joseph Fiennes is set to play Michael Jackson in an upcoming film on Michael Jackson, Elizabeth Taylor, Marlon Brando in the aftermath of 9/11. Beyonce honours Michael Jackson during the Super Bowl 50 half-time show. New documents have come out in the Serova V Cascio/Porte/Estate/Sony case, exclusively through The MJCast. More Dangerous World Tour rehearsal footage has leaked thanks to MJ Beats (orange and green shirt rehearsals). The Dangerous World Tour live in Oslo is leaking thanks to MJ Beats. A new book by Elizabeth Amisu titled The Dangerous Philosophies of Michael Jackson is available for pre-order and is coming out on August 28th. Our thoughts on Spike Lee‘s new documentary, Michael Jackson’s Journey from Motown to Off The Wall. Q – Open Google images…and search for “the most beautiful smile in the world”. Go on…try it. Jamon – MTV 95 VMA rehearsals snippet. Remixed By Nick*‘s website and Facebook, Twitter, YouTube and tumblr. pages. Original Rock With You and Get On The Floor mixes. Can you spot the differences? Beyonce’s 2009 Michael Jackson tribute, I Can’t Help It. The Hello World – The Motown Solo Collection and Come and Get It: The Rare Pearls box sets from Hip-O Select. Event Cinemas pre-order for the 2016 Off The Wall re-issue, including tickets to special Australian fan screenings of Spike Lee’s new documentary on February 25th.